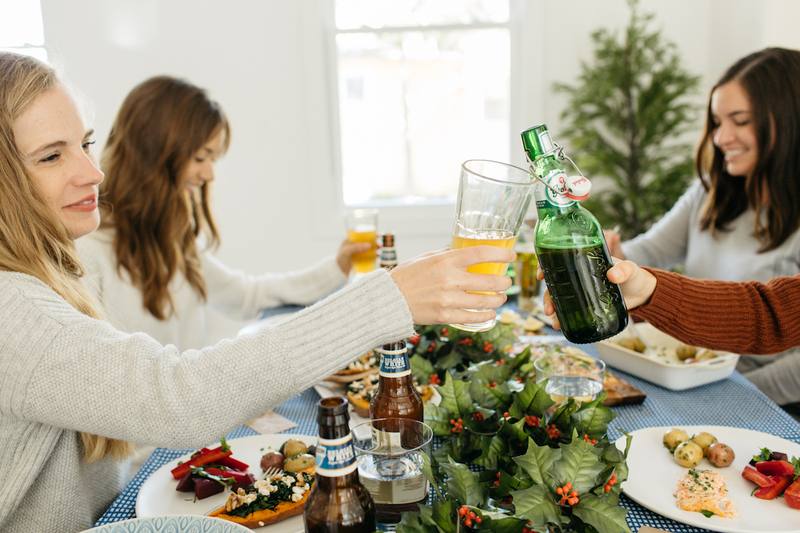 While the holidays are a time to celebrate, they also double as the perfect time to reflect. 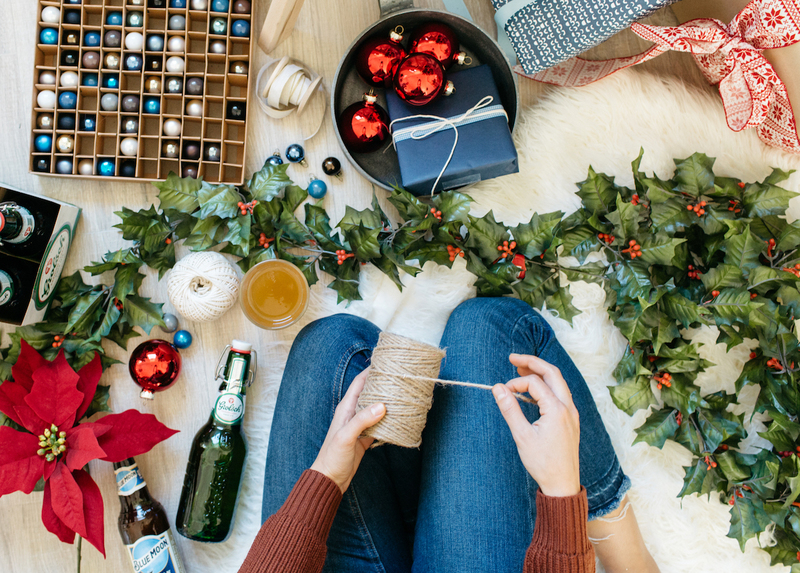 Think about old family traditions, and now that you’re getting old enough to define what the holidays mean to you, take this opportunity to create some new traditions of your own. 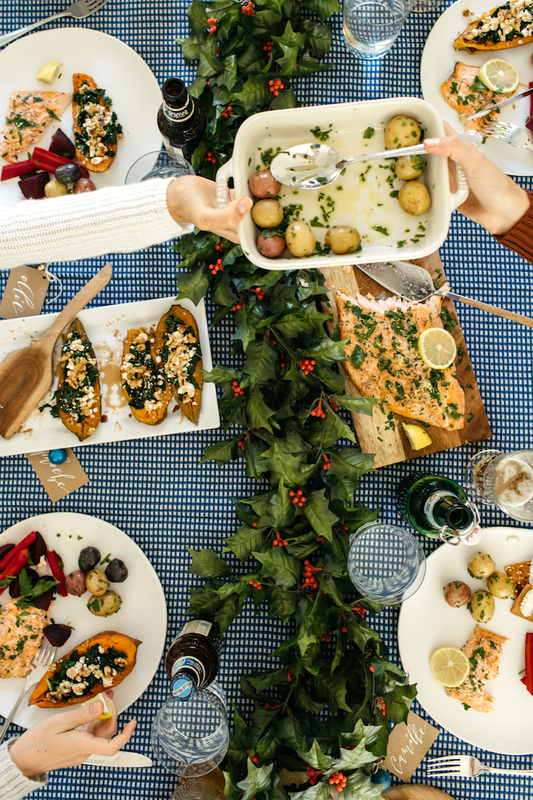 One fun idea: host a tree trimming party that’s simple, unique, and most of all, delicious. 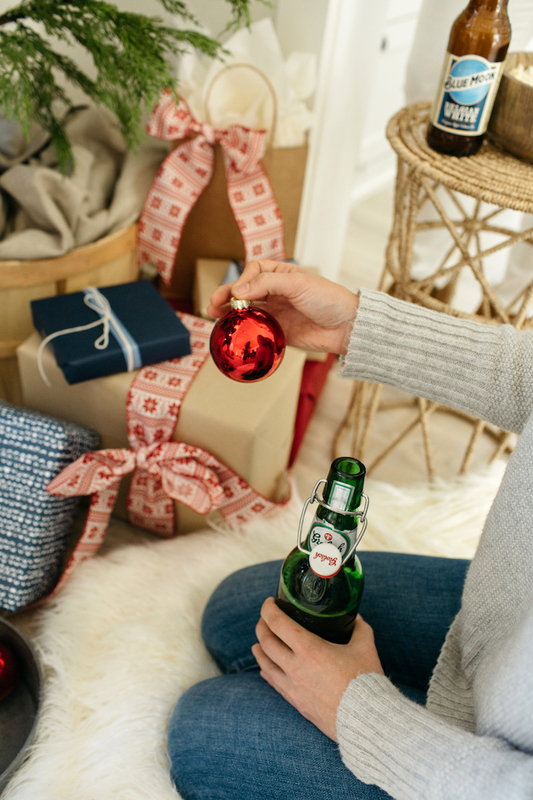 The tree you own is probably smaller than the one you remember growing up, but don’t worry because the food and drinks will be the main attraction at this tree trimming. The Nordic region served as our inspiration for the décor -- think cozy faux fur blankets and minimalist patterns. 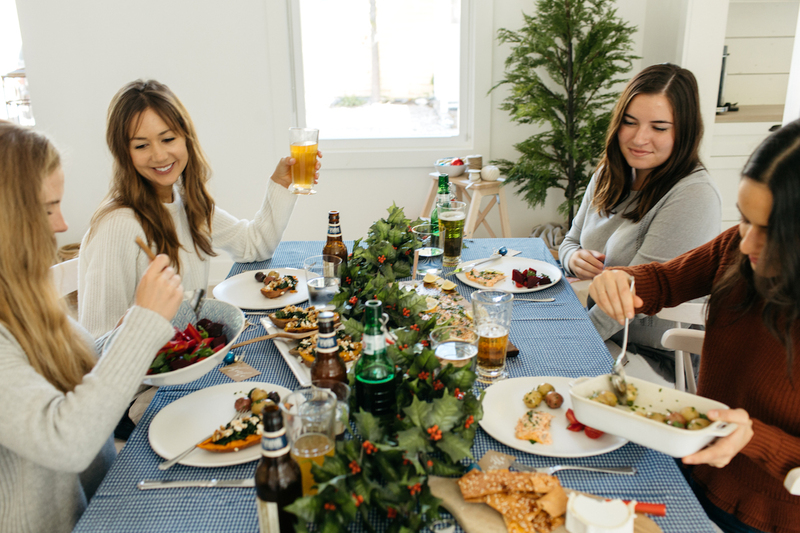 And, with the help of Pints and Plates, we found some delicious recipes and beer pairings that were perfect for our new tradition. 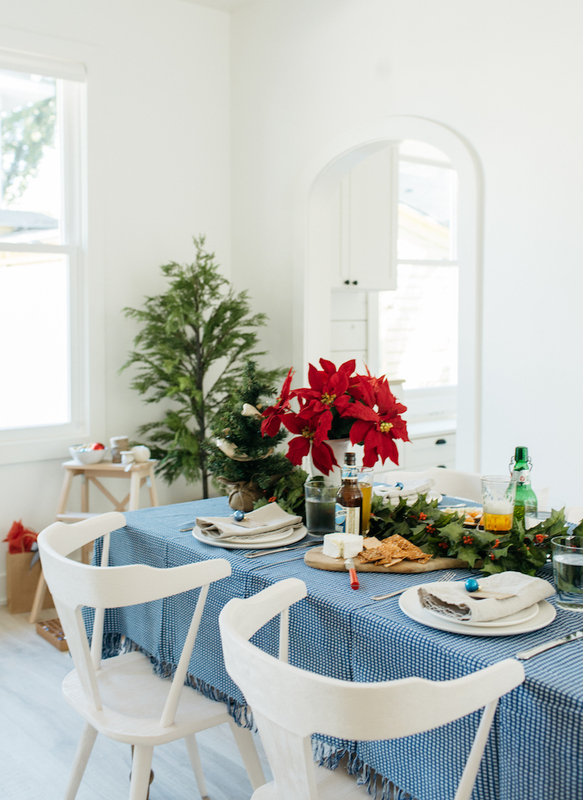 Take inspiration from folkloric Nordic holiday decor to create a beautiful winter get-together that encourages guests to stay a while. Folkloric patterns and minimalist shapes will create a fuss-free look, while natural materials keep everything feeling warm and welcoming. For the palette, go with unexpected blue, white and cream patterns with pops of red. Including greenery adds texture and warmth throughout. 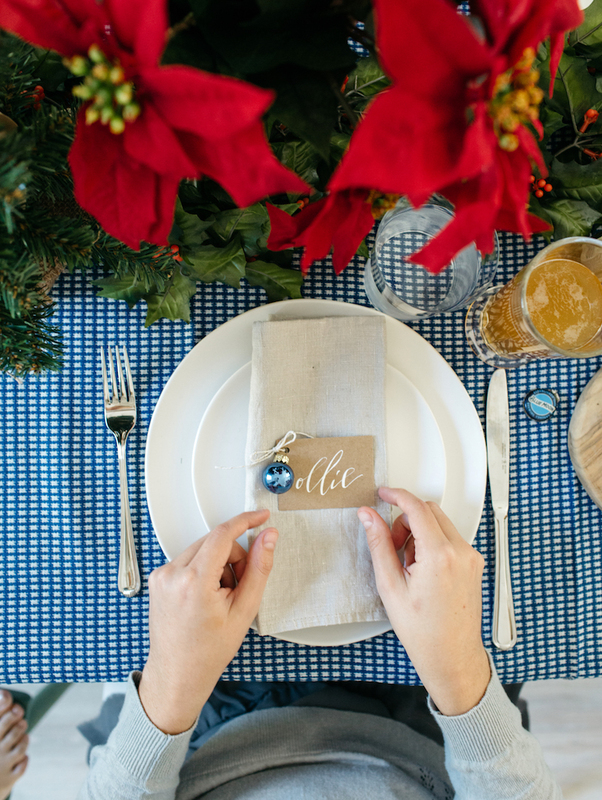 This blue gingham tablecloth is unexpected for the holidays, but by incorporating traditional elements like ornaments and Poinsettias, the overall look still feels festive and on theme. 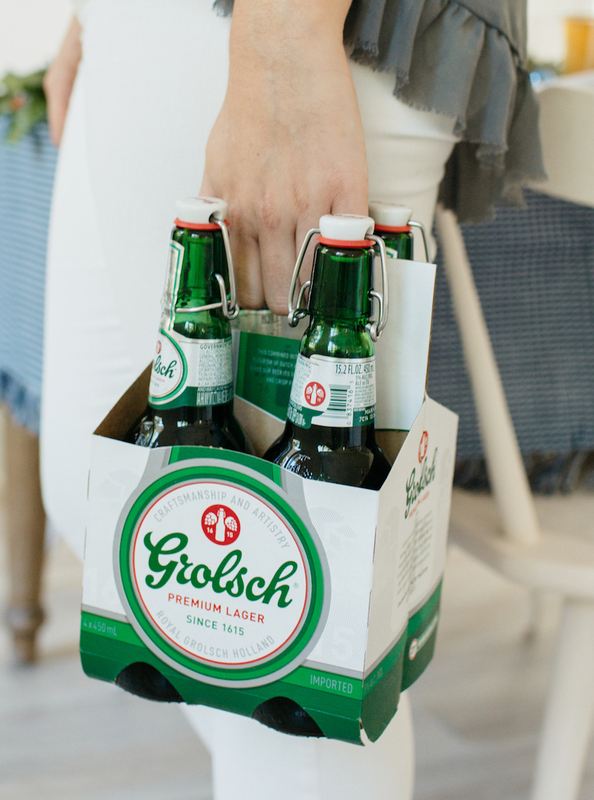 Grolsch beer is from The Netherlands, and after serving it at your next gathering, we believe your friends will swear by this brew. 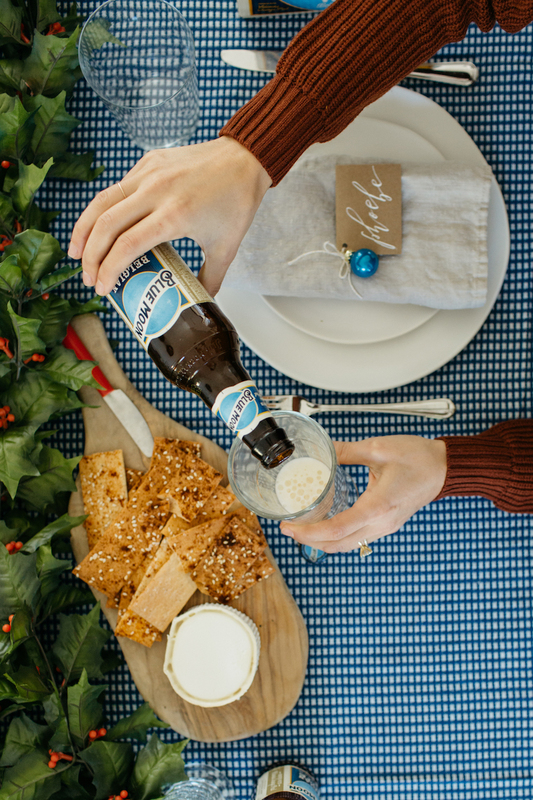 The solid green glass bottle with a signature swing-top makes this lager perfect to have on your holiday table. 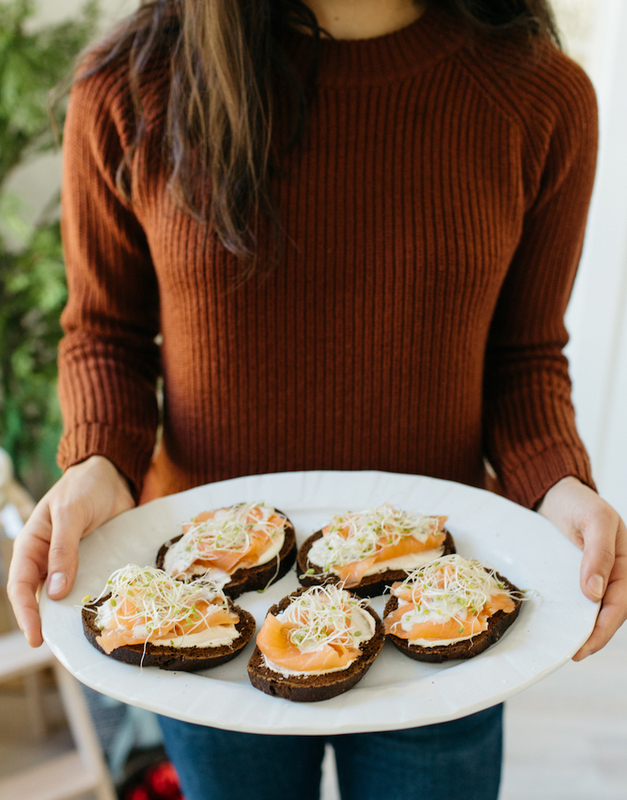 Guests will be delighted to pop their bottles of Grolsch open and enjoy them alongside this Smoked Salmon Toasts appetizer. 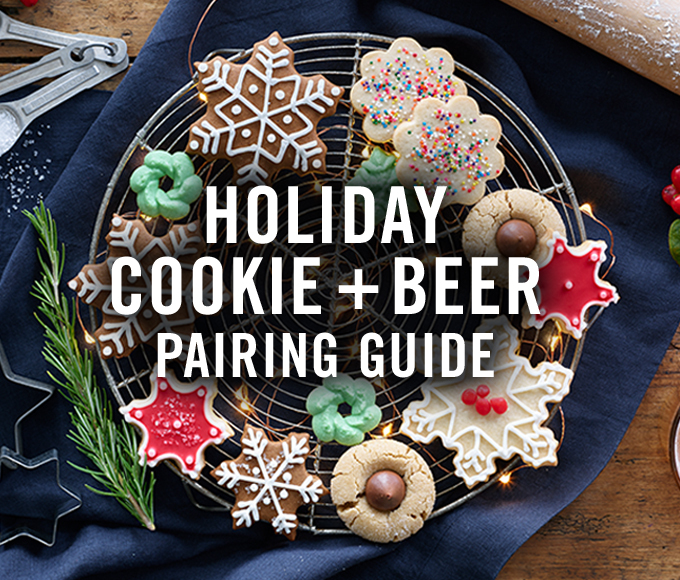 The two make a perfect flavor pairing. 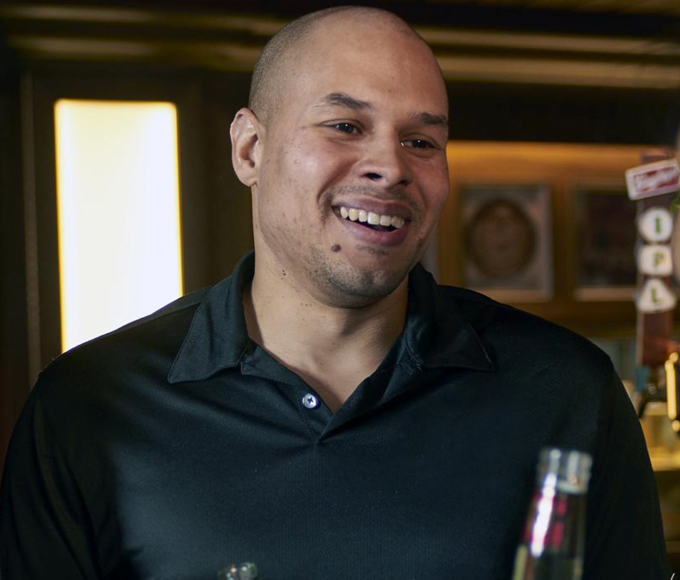 If you want to add another beer option to the mix, the smoked salmon toasts also pairs great with Peroni Nastro Azzurro. 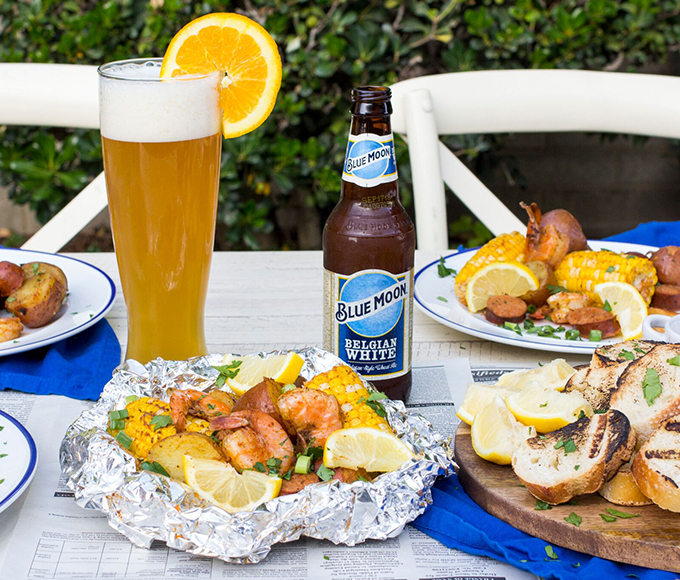 Blue Moon is a beer that many people are already familiar with (and love! ), but what most people don’t know is how well it pairs with goat cheese. Combined with this spread of goat cheese and sesame crackers, guests will discover a match made in flavor heaven. After a bit of sipping and snacking, pull up a seat to kick off the meal. 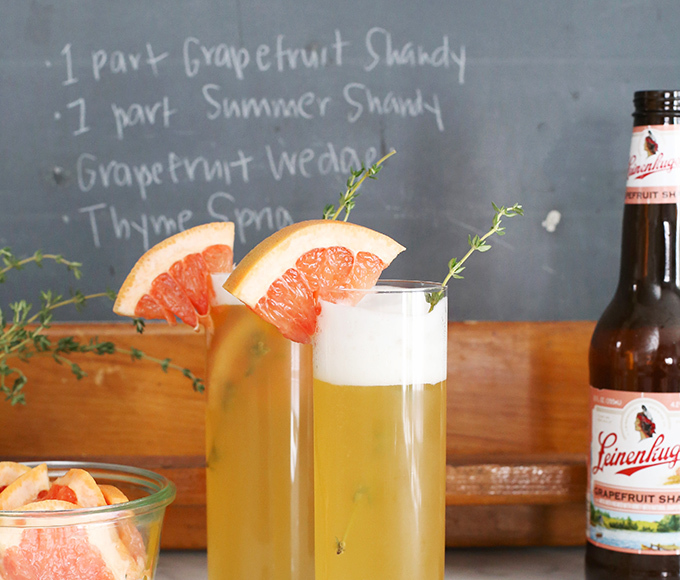 As a hostess, is doesn’t get much easier than serving crisp, cold beer. 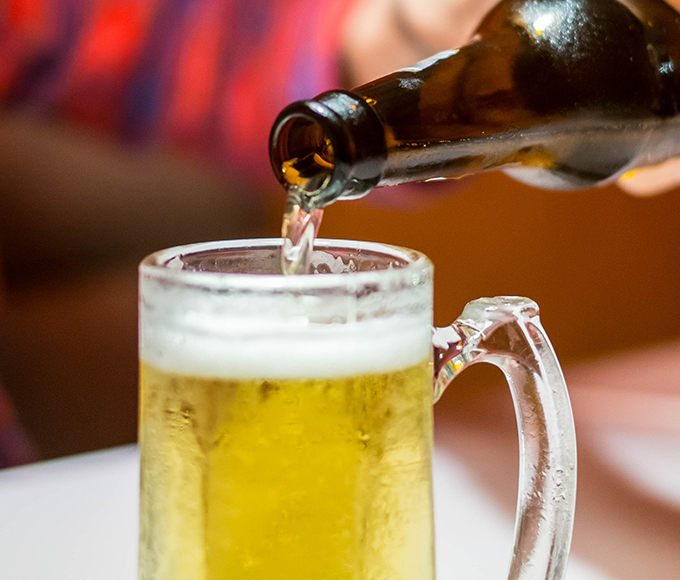 Keep yours chilled and let your guests enjoy it out of the bottle, or poured into pint glasses to show off the beer’s rich golden colors. 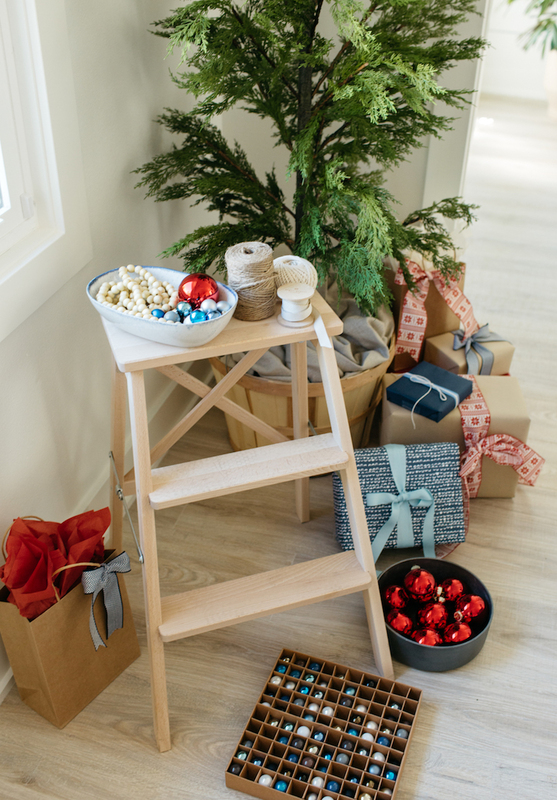 We set up this fun tree trimming area, complete with everything guests needed to add their personal touch to our fir — shiny ball ornaments, wooden bead garlands, and popcorn for stringing, to name a few. Invite guests to pull up onto a comfy faux fur or floor pillow, beer in hand, and get to decorating. 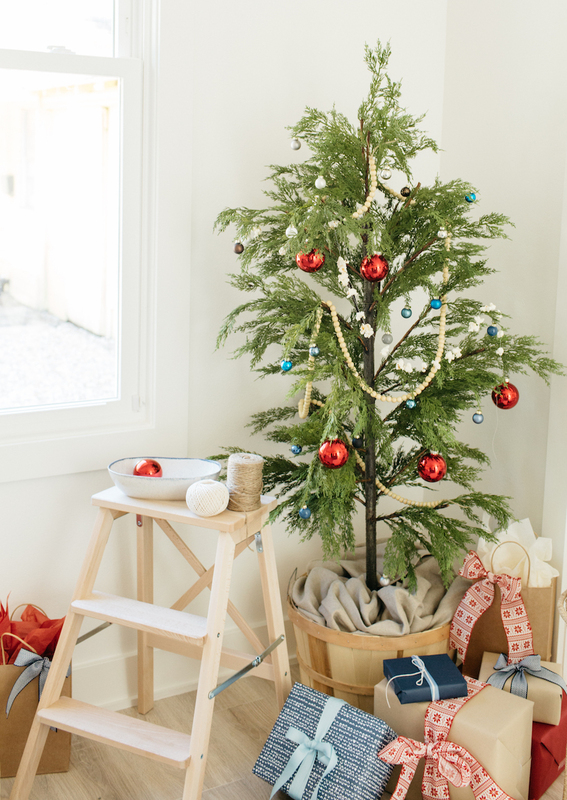 Instead of going with a predictable large fir, opt for a low juniper shrub that’s the perfect size to place in a cozy corner. The sparseness will lend a more modern and fresh feel to your party space. 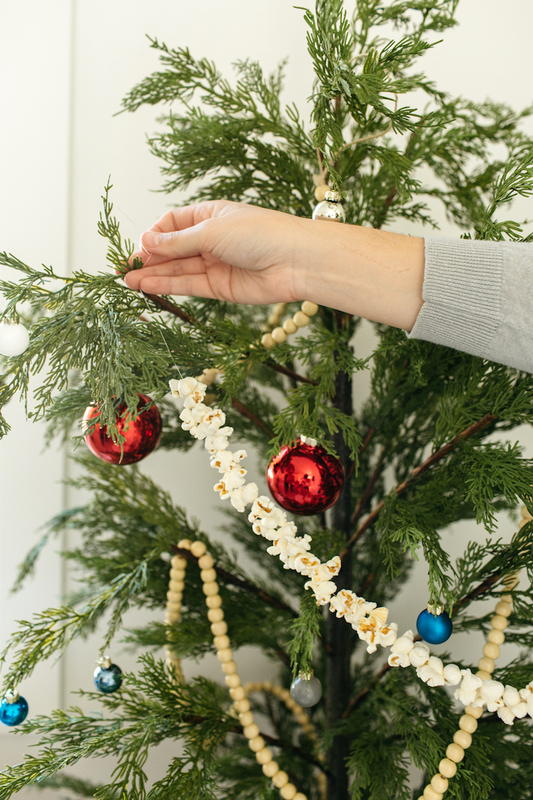 String popcorn on a thread, and then drape it across the front of your tree. This classic look never gets old. Now this is one mess we don’t mind. You’ll be thrilled with how your little tree turns out. 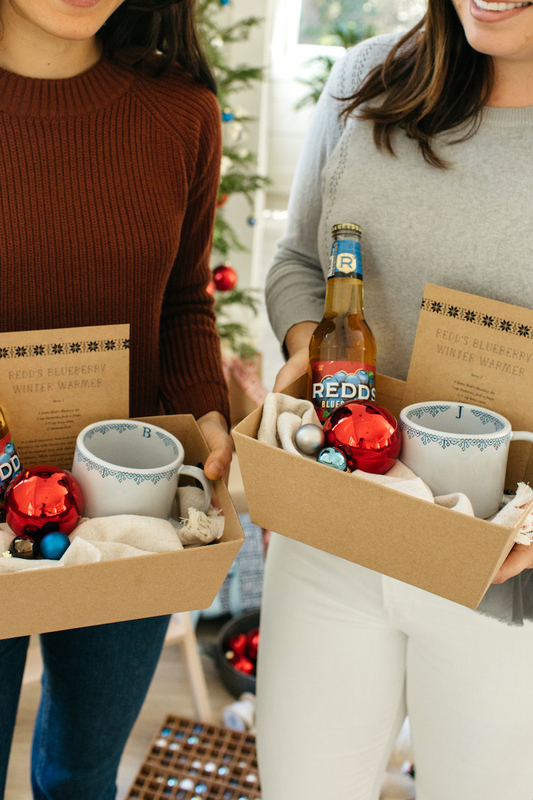 Lastly, send friends home with a favor basket containing a bottle of Redd’s Blueberry Ale, a monogrammed ceramic mug, and a recipe card with instruction for making a Redd’s Blueberry Ale Winter Warmer cocktail. Yum!